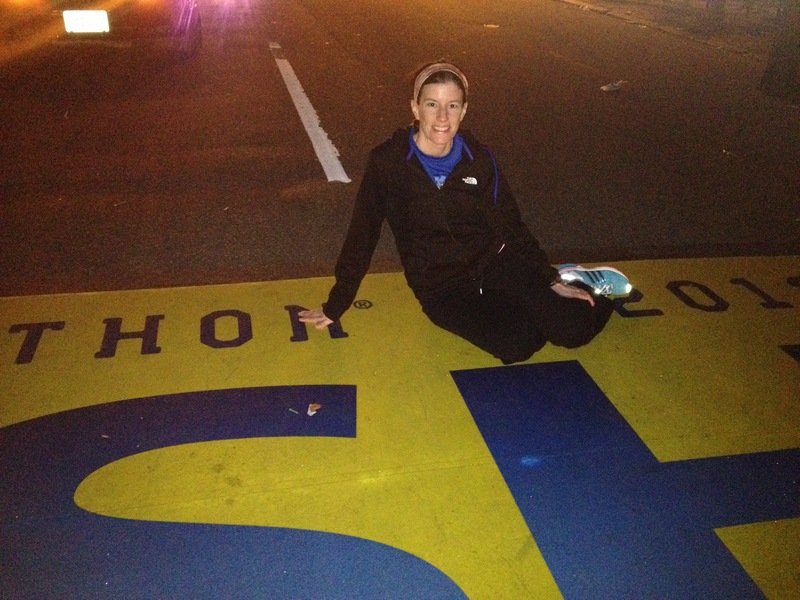 On my way to the bus that would take me to the starting line of my first Boston Marathon this morning, we stopped so that I could pose for a photo on the finish line that I would cross later that day. It is unbelievable that the finish line ended up being the place where such a horrific act of terror took place. On a day that was supposed to be a celebration for 27,000 runners. On a day that is a state holiday here – Patriots Day. I crossed the finish line about 15 minutes before the bombs exploded (after the most incredible marathon experience I’ve ever had – loving every step of it and taking 167 photos). I saw my parents and stopped to talk to them across the barricade just a block or so down from where the explosions happened, then went on my way through the runners corral to get my food. I will never forget hearing the explosion, turning towards it and looking down to the finish line on Boylston and seeing a huge plume of smoke and dust, followed immediately by a second explosion. That image, and that sound, will stay with me forever. I am thankful that my parents, Scott and my running group are all safe. My heart breaks for the families of the runners and spectators that were injured, killed and affected by today’s tragedy. Thankful that you made it through safely. Thanks for reporting in! you, because your dedication to running inspires me and I learn from you. I most certainly am! I am so sorry that this happended. Prayers to all. i was so worried about you. i knew you were running for fun and was praying that you got passed the finish line (way past the finish line) before the 1st bomb. i cannot believe this. I am so thankful you and your family are safe. I am also so happy you had a wonderful race. And I share your sentiment of sadness and heartbreak. Truly horrific.